The Santasaurus Reusable Bubble Bar (£5.95 each) - Inspired by the dinosaur from Mr Bean's nativity scene, the Santasaurus is probably my most favourite from this year's LUSH Christmas collection. The bubble bar itself is made from Brazilian orange oil to refresh and rejuvenate whilst the fruity bergamot oil is added as a natural cleanser. To top it all off, they've added Glycerine for added hydration and Cream of Tartar which is what makes it extra bubbly. Obviously, the thing that won me over with this product is the fact is clearly shaped like a Christmas dinosaur - enough said. However, I wasn't expecting it to smell as amazing as it does and be a fruity product. It leaves the water feeling smelling great and my skin feeling super soft and hydrated. To active his bubbly goodness, just hold him under your bath tap. Ps, if you're wondering why he's got brown on him - sadly, that's what happens when you put a wet bubble bar in a paper bag. Not great for blogging photos! LUSH Santa's Belly Shower Jelly (£4.25/100g) - This particular shower jelly made it's first appearance back in 2015 although this year's re-release sees a new addition in the glitter buckle and belt. Made with apple juice, bergamot oil and rose absolute, Santa's Belly makes for an amazing scented shower jelly. Much like many of LUSH's shower jellies, it includes neroli for a deep cleanse as well as Carrageenan seaweed which not only gives it that amazing softness, but it's also is what gives the jelly is amazing wobble and a whole lot of jiggle. Again, I really loved the smell of this particular jelly. The rose and apple make for an incredible mix and I've always been much more of a fan of fruitier smells. Usually, I find that the Christmas collection tends to be more spicy or cinnamon based but this combines both a festive theme with a sweet smelling, deep cleaning jelly. The Snowie Bubble Bar (£4.25/100g) - We all know that 2016 claimed some pretty incredible legends. 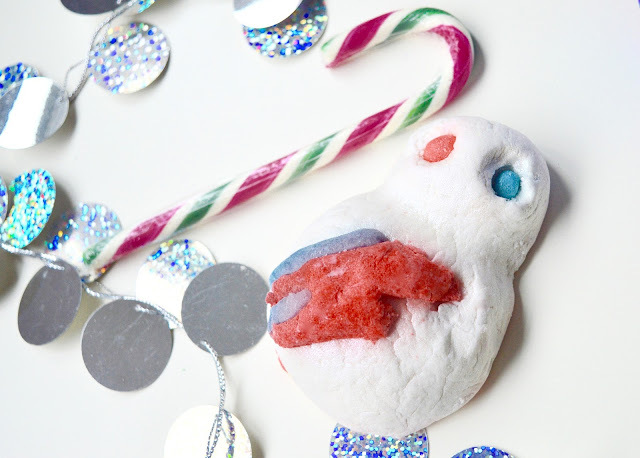 Created to honour the late and great David Bowie, Snowie is a shimmery Christmas snowman, complete with the iconic Ziggy Stardust red and blue zig-zag. There's definitely a theme emerging in my favourites as this too contains neroli and rose absolute. The tangy grapefruit oil not only smells great but works to uplift and refresh the body. 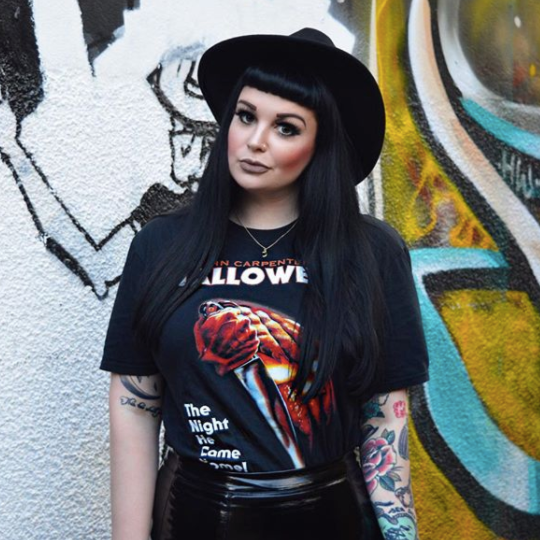 The shimmer does remain on the skin slightly although it's still very subtle and let's face it - we could learn from Bowie and use a little extra glam. To activate this little treat, simply crumble Snowie under running water and watch his magic in motion. Last but certainly not least is The Northern Lights Bath Bomb (£3.95 each) - I'll be honest, I originally bought one of these for my good friend, Emily, as part of her Christmas present package but couldn't resist nabbing one for myself too. Originally introduced in 2014, it was pretty exciting to see this baby making a come back at this year's Creative Showcase. Similar to the rest of my Christmas favourites, Northern Lights is a fruit and floral based bath bomb made of sensual jasmine absolute, sweet Ylang Ylang oil and citrus. 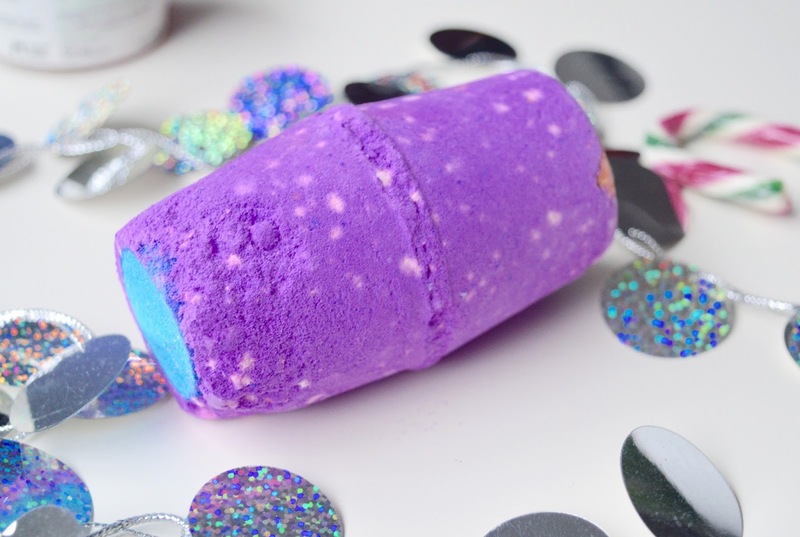 Just like the bubble bars, this bath bomb also has Cream of Tartar which is what allows it to make that amazing reaction when you drop it in the bath. This just oozes amazing colours and is certainly one of the most legendary LUSH bath bombs. Well, that's it for another LUSH Christmas. 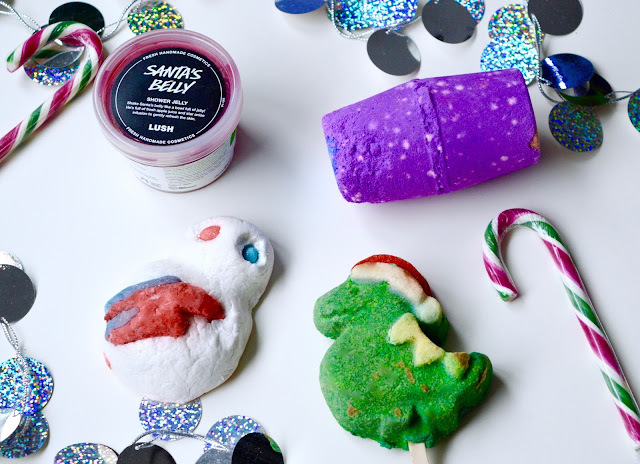 What products have you tried from the LUSH Christmas and Winter Collections? Have you tried any of my favourites? As always, I love reading your comments so please do leave me lots of lovely ones down below. the dinosaur bubble bar is incredibly cute! I'm going to Lush at lunch time so definitely need to pick up one of them! My other half surprised me with a Santasaurus last weekend - it's sooo cute. I can't wait to use him, especially after reading your glowing review! I am obsessed with Lush products! I would love to try out the Northern Lights bath bomb! 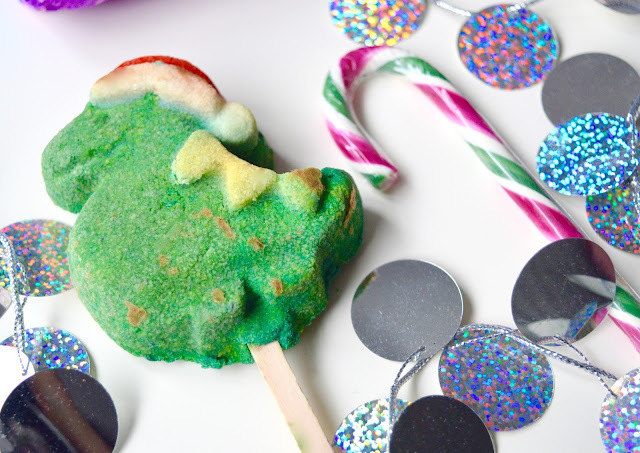 I got the Dino bubble bar for my best friend for Xmas! Kinda kicking myself I didn't get one for myself . . . . I used my Northern Lights yesterday and it was so uplifting, pretty & much needed when I was full of icky illness - thank you! I wish I'd picked up a Santa's Belly as it sounds amazing.